Noreen Riley from Oakham talking about a photograph of her grandmother and her converted bus taken in 1942. My name is Noreen Riley and I live in Oakham in Tividale. This is a photo of my grandmother, Sarah Hales. In 1942 she bought the first bus, a single decker, from West Bromwich Bus Station when they were renewing all the buses during the war. She was sixty-odd at the time. My dad drove it down to North Wales and they converted it into a caravan. It had two bedrooms at the back, a living area, and a kitchen. And it was always drivable, she had it on Owens Farm in Tywyn until 1957. Then she had another one later on, that she called Madge Point. 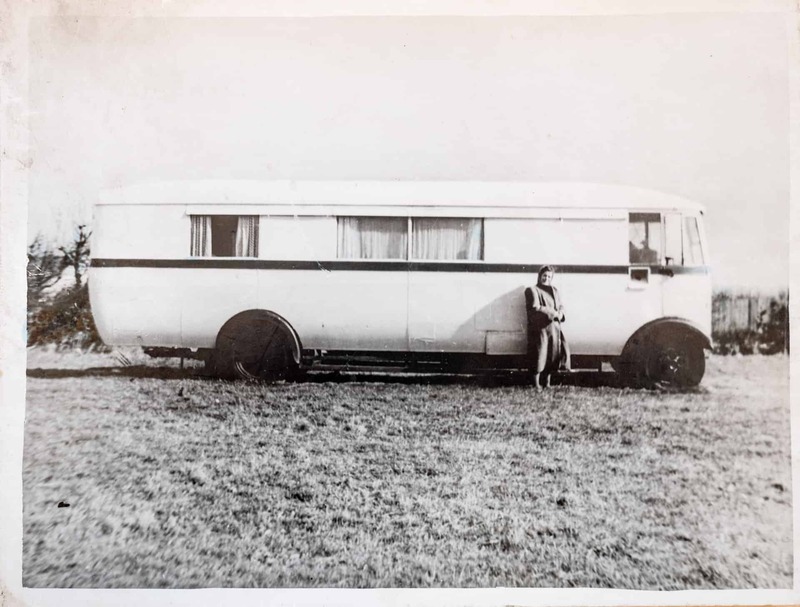 After she died in 1957 mom’s two older sisters had one a piece and they kept them there until modern law said that caravans had to be a certain way so then they had to come off. So my dad drove them back again to the West Midlands. My grandma was a traveller at heart, she was very adventurous in lots of things. Because they lived there throughout the summer and me grandad worked at the castle as he was retired from ICI by 1948. At that time very few people when on holiday. It was a novelty, and people used to come and have a look at it.